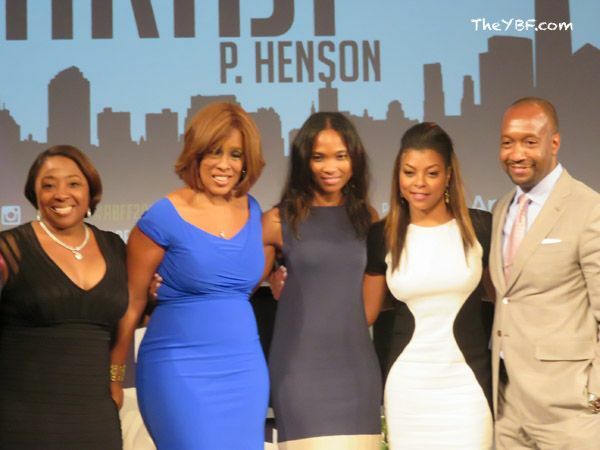 At the 2015 ABFF, Taraji P. Henson sat down with Gayle King for a one-on-one discussion about her road to becoming a Hollywood actress. She also dropped some gems about life and going after your dreams. More inside…. 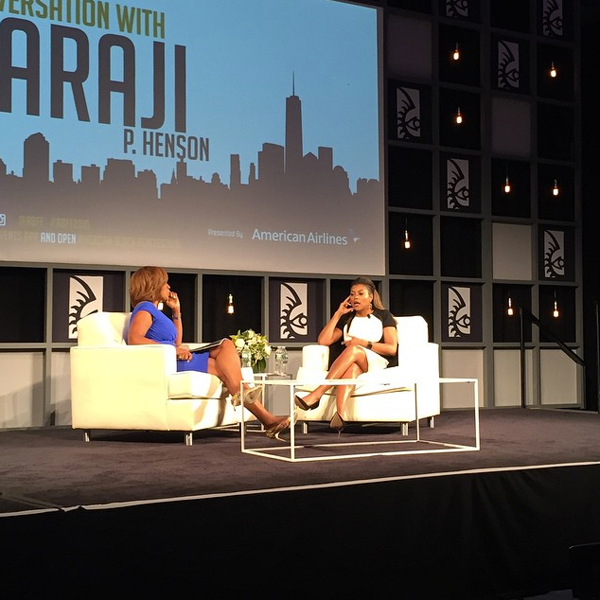 American Black Film Festival Ambassador Taraji P. Henson sat down for a candid discussion with "CBS This Morning" co-host Gaye King yesterday, giving us an up close and personal look at the woman who’s taking the world by storm. Taraji shared her story about going from the hood to being the star of a majorly successful FOX series. During their chat, Taraji revealed her struggles during college and talked about enrolling in North Carolina A&T, majoring in electrical engineering. Once she got there, she realized math wasn’t her thing (specifically failing pre-calculus) and realized electrical engineering was NOT what she was passionate about. "Babies aren't a disease, they're a blessing. Just because you have a baby doesn't mean you have to stop following your dreams." After college, she said she packed up her and her son’s things and moved to California with $700 in her pocket and Jesus on her side. She said when she would go on auditions she was reminded by industry folks that she wouldn’t make it because they felt she was too old to get into acting. But, she didn’t take “NO” for an answer. She ended up landing a lead role in John Singleton’s 2001 classic flick Baby Boy. Following Baby Boy, she landed a role in the blockbuster 2005 film Hustle & Flow, then a major role in Curious Case of Benjamin Button, where the latter landed her an Academy Award nomination. "I'm not going to have a man just to have a man. If you're not adding to my happiness, then..."
After her chat, she snapped it up with Gayle, ABFF founder Jeff Friday along with his wife Nicole and another guest.